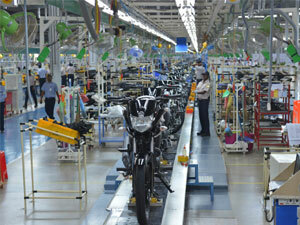 India Yamaha Motor (IYM) has opened its first Japan-India Institute of Manufacturing (JIM) in Chennai. It is Yamaha's first Technical Training Institute in India under JIM and has been named as Yamaha Motor NTTF Training Center (YNTC). The institute focuses on training future shop floor leaders in the Japanese working methods and manufacturing style. JIM has been established from a Memorandum of Cooperation (MoC) signed in Tokyo on November 11, 2016 between Ministry of Economy, Trade and Industry, Government of Japan and Ministry of Skill Development and Entrepreneurship, Government of India, for a “Manufacturing Skill Transfer Promotion Program”. Japanese Endowed Courses (JEC) will also be introduced in existing engineering colleges to train 30,000 shop floor leaders and engineers over next ten years. YNTC will run a four-year program in manufacturing technology in association with Nettur Technical Training Foundation (NTTF), an educational foundation aimed at promoting technical education for youth in India. The curriculum provided by YNTC and NTTF is registered under National Employability Enhancement Mission (NEEM), a scheme to promote employability through on the job practical training. The focus of the program is to target young people residing in the rural areas in India with low income but having the potential to learn and enhance their skills. It offers a 2-year Certificate Program in manufacturing technology followed by a 2-year diploma program. Forty students between 18 to 21 years have been admitted for the academic year. The students are being selected through proper screening, entrance test and counselling. Over the course of the four-year program, students will learn practical skills in Japanese-style manufacturing, covering nine main areas: motorcycle assembly, parts control, paint, welding, casting, machining (in both aluminium and steel), quality control, and utility techniques. NTTF will be responsible for imparting the class room training whereas IYM will provide On the Job training to the selected students. The entire program will be monitored by a steering committee in India which will provide periodic consultation to resolve issues which may emerge while realising the program. Sixteen months ago, Elon Musk shook the auto industry by unveiling the Tesla Model 3, a $35,000 electric sedan designed to take on the best-selling luxury cars. Online grocery retailer Bigbasket.com has entered into a preliminary agreement with Alibaba and the e-commerce company backed by it, Paytm Mall, to conduct due diligence for a probable stake sale. As its proposed merger with bigger rival Flipkark is heading nowhere as of now, Snapdeal is in the process of preparing a plan B.